Patient Engagement is about getting patients more involved in the care of their own health. Whether through online patient portals, wearable devices or social media, new healthcare players are coming up with innovative ways to help patients monitor their vital signs, symptoms and side effects. These efforts stem from strong evidence that improved health outcomes also result in reduced healthcare costs. Esperity, which is the world’s first multilingual social media network dedicated to cancer patients, cancer survivors and caregivers, was launched in Brussels in September 2012. Their mission is to contribute to a better quality of life of patients by giving them the tools needed to empower themselves by sharing their information and learning from each other. Their main goal is breaking patients’ social isolation, as well as understanding the relationships between treatment outcomes, quality of life and genetic indicators. These relationships can be provided through insights detected by data patterns, which in turn can lead to real-time changes. These are achieved using feature like connecting patients, tracking their health, managing their lifestyles, and finding clinical trials in their areas. 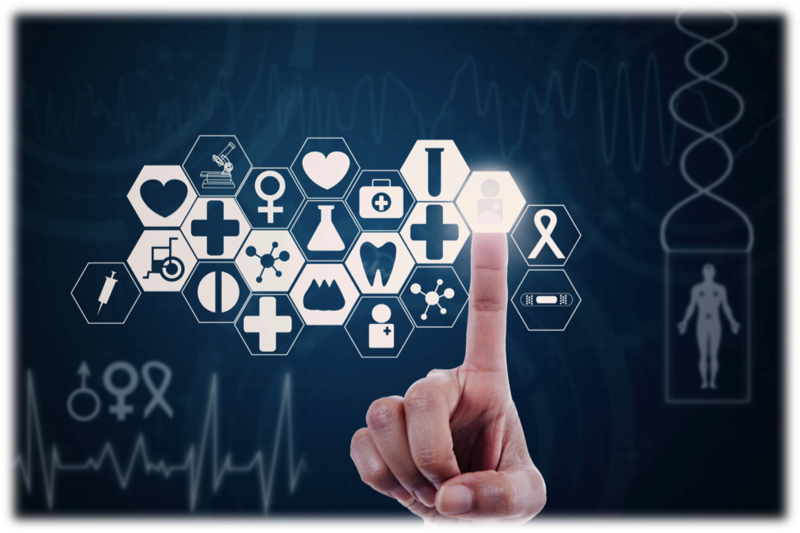 Esperity further leverages their global platform by matching patients with pertinent clinical trails going on all over the world. 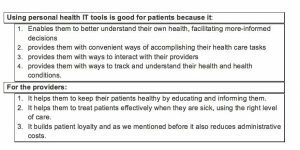 Judith Hibbard of the University of Oregon has developed a “patient activation measure”– a validated survey that scores the degree to which patients see themselves as managers of their own health and care. It was observed that patients with the lowest activation scores, that is, people with the least skills and confidence to actively engage in their own healthcare, cost 8 to 21 percent more than patients with the highest activation levels, even after adjusting for health status and other factors. And these patient activation scores were shown to be significant predictors of healthcare costs. 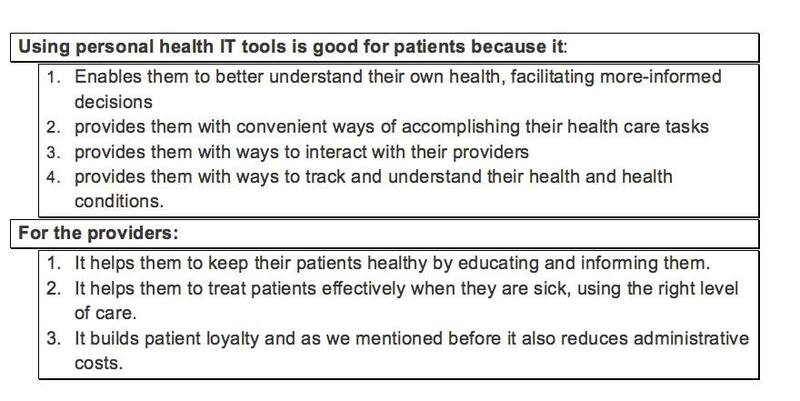 What kind of benefits can the different healthcare actors expect to see through increased patient engagement? Patients, for one, will gain a better understanding of their own health, which in turn will facilitate taking better-informed decisions where it counts. “Social innovation” in health care is blooming. There are more and more innovative digital tools that deliver totally new experiences for both patients and providers. Another example is Proteus, a startup in digital health, succeeded at creating new digital health capabilities, by delivering digital medicine. They use a patch that is worn by a patient before taking medication. (We know that some 80% of patients do not follow medication prescriptions precisely, and that this is the leading cause of hospital re-admission.) Through this patch, clear data is provided on daily health habits and medication-taking patterns, helping both patients and healthcare professionals accomplish the treatment goals. It also shows patterns of steps, rest, heart rate, blood pressure and weight. Healthcare providers can check those patterns anytime and anywhere to understand the condition of the patient, and immediately revise their treatment plan (as needed), rather than waiting days or weeks for the patient to visit the doctor. This growing evidence supports the case that patient engagement positively impacts the Triple Aim of improving health outcomes, reducing costs, enhancing experiences for patients and providers. Engaged patients show greater levels of adherence to their care plan and medication, and better overall health outcomes. Higher levels of patient activation result in lower health costs for patients, employers and the health system. These new strategies and innovations are driving a shift toward a “patient-centric” health care that delivers better health outcomes for more people. Neal specializes in marketing consulting, and has an extensive background in clinical psychology, research and project management. She enjoys writing about social impact and the multitude of challenges communities are faced with today. ← Sustainable Packaging: the Holy Grail of CSR?